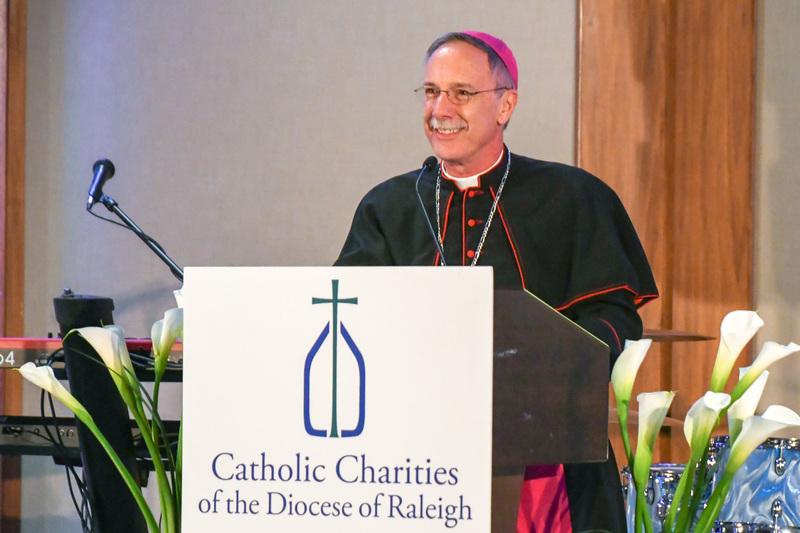 On Saturday, October 27, the 8th Annual Catholic Charities Gala was held at the Raleigh Marriott Crabtree Valley. More than 400 guests, which was the highest attendance record in the gala’s history, joined the celebration and helped raise over $260,000. 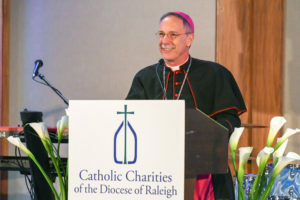 Proceeds will benefit Catholic Charities programs across the Diocese of Raleigh including, Disaster Services, Emergency Assistance, Immigration Services, and Services in Support of the Family. The festive evening began with the Cardinal Gibbons High School String Quartet welcoming guests into the reception area and concluded with the band PushPlay keeping guests on the dance floor until the end of the evening.